Good luck to all the competitors in this year's Doubles Masters Tournament. Over 40 competitors will be gathering over the coming weekend on Oxford Brooke's University's Wheatley Campus to contest the 2010 title. 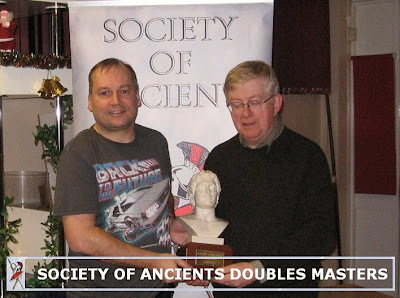 Organised by the BHGS and sponsored by the Society of Ancients, the event, this year, consists of a single 'English Open' round in 15mm scale using Field of Glory rules. The south of Oxford venue will also be playing host to Flames of War and Field of Glory Renaissance (beta, singles) competitions.